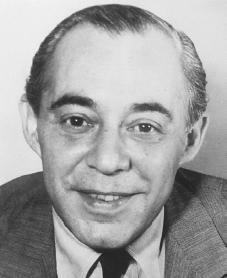 Richard Rodgers, American composer, wrote the music for over fifty stage and film musicals and helped make the American musical a legitimate art form. Richard Charles Rodgers was born near Arverne, Long Island, New York, on June 28, 1902. His father was a successful physician and his mother, a well-trained amateur musician. Rodgers heard music in his home from earliest childhood and was regularly taken to the theater. He was especially delighted by the operettas (short operas) of Victor Herbert and other popular composers. A little later he was inspired by the musicals of Jerome Kern, whose influence, Rodgers said, was "a deep and lasting one." By the age of six Rodgers was playing the piano by ear and had begun receiving piano lessons. He attended secondary schools in New York. By the age of fourteen he had written two popular songs. Before he entered Columbia University in 1919, he had already written music for two amateur shows and had met Lorenz (Larry) Hart (1895–1943), a literate, amusing, somewhat driven creator of verse, with whom Rodgers would collaborate for the next twenty-four years. Their first published song was "Any Old Place with You" (1919), and hundreds followed. Rodgers left Columbia at the end of his second year to devote himself full time to musical studies at the Institute of Musical Art, where he spent another two years. After working on amateur shows and on a few unsuccessful professional attempts, Rodgers and Hart won acclaim for their review Garrick Gaieties in 1925. Also in 1925, Rodgers, Hart, and Dorothy Fields (1905–1974) collaborated on Dearest Enemy, "an American musical play" (as they called it), contributing respectively music, lyrics, and book, adding something new to the theatrical scene. Not only was the material original, charming, and witty, but the form and subject of the entertainment were distinctly unusual. Here was a play based on American history with unpredictable and pertinent musical sections. During the next decade Rodgers and Hart wrote three shows for the London stage and a number of Broadway musicals and Hollywood films. Though not all of them were successful, they were distinguished by a number of fine romantic ballads such as "My Heart Stood Still" (1927), "With a Song in My Heart" (1929), "Dancing on the Ceiling" (1930), and "Lover" (1932). Hart's lyrics always managed to avoid too much sentimentality, and Rodgers matched them with tunes of grace and skill. Among the nine stage shows written between 1935 and 1942 were several of Rodgers and Hart's most famous: Jumbo (1935); On Your Toes (1936), for which the distinguished Russian-born choreographer George Balanchine (1904–1983) created the ballet; Slaughter on Tenth Avenue; Babes in Arms (1937); The Boys from Syracuse (1938); and Pal Joey (1940). A number of the songs written during this time are among Rodgers and Hart's most durable: "There's a Small Hotel," "Where or When," "My Funny Valentine," "This Can't Be Love," and "The Lady Is a Tramp." After Hart died in 1943, Rodgers entered a period of unprecedented (having never occurred before) success with lyricist Oscar Hammerstein II (1895–1960). Of their ten musicals, five were among the longest-running and biggest-grossing shows ever created for Broadway: Oklahoma! (1943), Carousel (1945), South Pacific (1949), The King and I (1951), and The Sound of Music (1959). seem stripped to the barest essentials. Romantic sentiment is a major ingredient. Through touring productions, film versions, and recordings, the Rodgers and Hammerstein shows have become known around the world. Songs that have become popular standards include "Oh, What a Beautiful Morning," "People Will Say We're in Love," "If I Loved You," "You'll Never Walk Alone," "Some Enchanted Evening," "Hello, Young Lovers," and "Climb Every Mountain." After Hammerstein's death in 1960 Rodgers for the first time served as his own lyricist for the score of No Strings (1962). Rodgers's long association with the popular musical theater was an important one. His best projects were aimed at giving the musical play an ever more natural American expression. Oklahoma!, especially, brought an engaging simplicity and earthiness to the form. On many occasions Rodgers's choice of subject matter was unconventional (different from the norm), involving characters, situations, and themes of a seriousness seldom encountered previously in musical comedy. His work enriched and broadened a genre once regarded as little more than frivolous (not serious) entertainment and helped make it into an authentic American art form. Rodgers's death on December 30, 1979, did not stop the popularity of his musical works, which enjoyed numerous revivals. Vintage original cast reissues and contemporary recordings, movies and videos, Broadway and community playhouse productions, and even illustrated books abound. They became the avenue through which the timeless works credited with launching the twentieth century musical continued to exist. Neither did Rodgers's shows lose dramatic impact. Their stories remained vividly current, such as South Pacific, which encompasses the uncertainties of its World War II (1939–45; when Great Britain, the United States, the Soviet Union, and France fought against Germany, Italy, and Japan) setting, and The King and I, which deals with racism and absolute authority. Since music had to be hand-copied during most of Rodgers's lifetime, the musical scores from different productions did not always agree. Although there are some early recordings to follow for authenticity (similarity to the original), it still left room for changes in interpretation or even omission (leaving out) of particular numbers during performances. The original shows were showered with honors, from an Academy Award for best song ("It Might as Well be Spring" from State Fair won this award in 1945) to another one ten years later for best score for Oklahoma! Three shows won Tony Awards for Best Musical— South Pacific (1949), The King and I (1951), and The Sound of Music (1959). Later performances continued to bring fame and additional awards as top stars such as Julie Andrews (1935–) and Patti LuPone (1949–) recorded Rodgers's songs and acted in revivals. A revival of Oklahoma! was presented in London in 2001. It was shown on Broadway in 2002 to critical praise. One of the biggest breakthroughs in carrying on Rodgers's work was the transfer to videotape of a superior 1954 original movie of Oklahoma! It surpassed a same-cast, second filming of poorer quality and performance that had circulated for years. It took until 1994, when equipment finally was developed to transfer the "original edition" onto video for mass distribution. Rodgers is remembered not only for his beautiful melodies, but also for the advancements he made for the American musical theater through his work with Hart and, especially, with Hammerstein. Block, Geoffrey, ed. The Richard Rodgers Reader. New York: Oxford University Press, 2002. Green, Stanley. The Rodgers and Hammerstein Story. New York: J. Day Co., 1963. Reprint, New York: Da Capo Press, 1980. Hyland, William G. Richard Rodgers. New Haven, CT: Yale University Press, 1998. Rodgers, Richard. Musical Stages: An Autobiography. New York: Random House, 1975. Secrest, Meryle. Somewhere For Me: A Biography of Richard Rodgers. New York: Knopf, 2001.